RIYADH (Reuters) – Western tourists, a rarity in Saudi Arabia, visited this weekend under a new visa system, as one of the world’s most inaccessible countries tries to open up its society and diversify its economy away from oil. Thousands of fans flocked to Riyadh’s historic Diriyah district for Formula E, a motor sports tournament using electric vehicles, and concerts including by David Guetta and Black Eyed Peas. 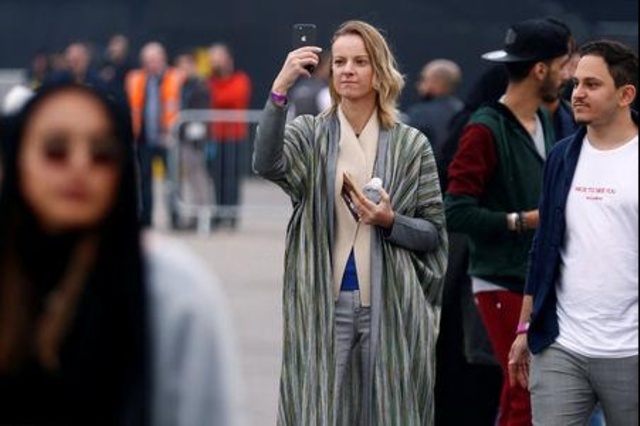 Most were Saudis still unaccustomed to such entertainment in their own country, where cinemas and public concerts were banned until changes by Crown Prince Mohammed bin Salman in the past two years. Despite an international outcry over the murder of journalist Jamal Khashoggi and the Saudi-led war in Yemen, some Westerners also seized the opportunity to visit a country that still largely restricts foreigners to resident workers and their dependents, business visitors, and Muslim pilgrims. An American named Jason is spending a week here with his German wife, riding quad bikes in the desert and visiting heritage sites in Ushaiger, 200 km (120 miles) northwest of the capital. Aaron, a 40-year-old software engineer, travelled from New York for two days. He and a few dozen other adventure travellers seeking to visit every country in the world checked the desert kingdom off their list this weekend. “Saudi Arabia’s always been an exotic place… and I didn’t think I’d ever be able to come here,” he said as circus performers entertained guests in between races. Some 1,000 foreigners from 80 countries received the new “sharek” visa, which is linked to a specific entertainment event, the authorities said. That is a fraction of what they eventually hope to attract. “Hopefully we will learn from this and see what we need to do for the future, but I can tell you from now that there is a lot of demand…” said Prince Abdulaziz bin Turki al-Faisal, vice chairman of the General Sports Authority. Whizzing electric racecars wound through the ruins of Diriyah, the capital of the first Saudi state built by the ruling Al Saud family three centuries ago.